Our school utilizes ancestral wisdom, ecological sustainability, equality and feminist principles. We believe that health care must consider the whole person; body, mind, spirit, environment and community. Madelon Hope directs the Boston School of Herbal Studies where she teaches Herbal Apprenticeship programs, Advanced Training, and a variety of classes. A Clinical Herbalist for over twenty years and a Licensed Psychotherapist, she combines Western Herbalism with Chinese medicine and psychotherapy to assist healing on multiple levels. Her main focus is on stress, mood imbalances, fatigue, lowered immunity and sleeplessness. Tommy Priester is a Clinical Herbalist, Wellness Counselor and founder of Bear Medicine Holistic Services & Heart Mind Integration Healing. Tommy's a Practicing Clinical Herbalist and Holistic counselor since 1998. He combines extensive knowledge of Western herbalism, shamanism, spiritual healing, aromatherapy, holistic nutrition with ancient wisdom traditions from Native American, Chinese and other cultures. Tommy is a masterful teacher and facilitator who combines expert knowledge of his subject with gentle humor. In addition to his own workshops and seminars he continues to be a faculty member at The Boston School of Herbal Studies for 13 years running. Linda has over twenty years of experience working with herbs and essential oils. Her love for plants inspired her to become a Master Gardener as well as a Flower Essences Practitioner. Her passion for the healing arts has lead her to becoming a Reiki Practitioner and Reflexologist. Being a food activist has guided her on a path of health through nutrition, the primary source of energy, longevity and vitality. Linda teaches locally and internationally. Her dynamic style of teaching encompasses a wide variety of healing modalities, which embrace a holistic approach to health and well-being. Melanie is a clinical herbalist, a health educator, and the director and founder of the Earthwalk School of Herbal Traditions in Rockport, ME. She completed her studies with the Boston School of Herbal Studies in 2007 and has since been teaching others the joys of plant medicine as well as training others to become clinical herbalists. Melanie’s main passion is teaching others to cultivate their innate wisdom and fine tune their own intuitive abilities. Natalie DeNormandie is an herbalist, plant lover, and principal of SegoDesign, a landscape architecture practice that designs beautiful, tasty, and functional gardens. When not designing, she teaches at the Boston School of Herbal Studies, and maintains a flower-and-herb share from her garden in Lincoln, MA. You can read Natalie's blog that aims to bring plants more fully into people’s kitchens, medicine cabinets, and lives at floraverdura.com. Karina Hines is a professional chef, culinary herbal educator and founder of Botanical Kitchen. Karina is a strong believer in the connection between our health and the foods that we eat, in discovering the power of plants, and in combining ancient wisdom with modern techniques for the benefit of everyone. “Eating nourishing food is your best medicine, eat to thrive”. Karina has cooked and traveled extensively over the decades, her global experience is reflected in her seasonal, innovative, nutrient dense-dishes that use both culinary and medicinal herbs and spices, served up in practical recipes which anyone can use. A fourth generation Herbalist and Healer, Phyllis has studied and worked with herbs, foods and other healing techniques for over 30 years. Her studies in Traditional Southern Appalachian Folk Medicine began in the deep woods of North Alabama with lessons from her grandmother, whose herbal and healing knowledge had its roots in her Creek/Cherokee heritage. As a Practitioner, she has experience in both clinical and private settings including working in an integrative medical clinic. Phyllis has a master’s degree from the University of Alabama in Health Studies. She is a professional member of the American Herbalist Guild and currently sits as secretary of the organization. In addition, she is on the board of directors of the American Naturopathic Certification Board. Kathleen has been a practicing herbalist for over twenty years. 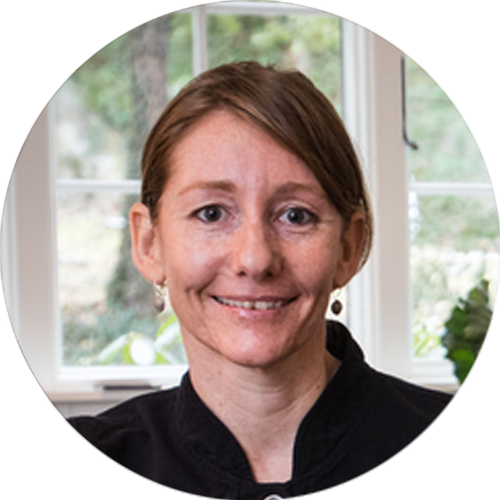 She is currently director of Sacred Plant Traditions in Charlottesville, VA. has been a practicing herbalist for over twenty years. She is currently director of Sacred Plant Traditions in Charlottesville, VA where she offers a Three Year Clinical/Community Herbalist training program. SPT’s free clinic was one of the first on the east coast and is still growing strong. She is a founding Board member of Common Ground Healing Arts, which is a collective of practitioners that offer their services to Charlottesville on a donation basis. She also sits on the United Plant Savers Board and was the recipient of their first Medicinal Plant Conservation Award. Kathleen’s studies of plants began as a Peace Corps volunteer in Chile and her training as a Physician’s Assistant allows her to weave the language of medicine we know today with traditional energetic systems. She is co-author of Bush Medicine of San Salvador Island, Bahamas.